Exiled from the LAPD, Harry Bosch must clear his name, uncover a ring of prescription drug abuse, and outwit a clever killer before it's too late. 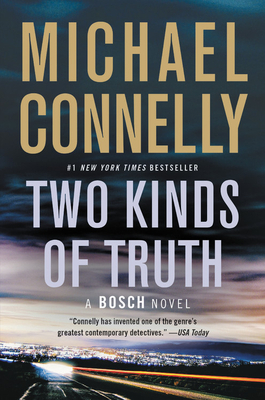 Michael Connelly is the author of thirty previous novels, including #1 New York Times bestsellers The Late Show, The Wrong Side of Goodbye and The Crossing. His books, which include the Harry Bosch series and Lincoln Lawyer series, have sold more than sixty million copies worldwide. Connelly is a former newspaper reporter who has won numerous awards for his journalism and his novels and is the executive producer of Bosch, starring Titus Welliver. He spends his time in California and Florida.